This text stems from three situations concerning reflection on contemporary visual arts in the port city of Valparaí­so, Chile. The first has to do with a part of the city’s cultural history, regarding the International Art Biennial held in Valparaí­so during the 70s and 80s --an anomalous event in the Chilean art system that never became a reference in art production, since it lacked criticality in attempting to establish a contemporary discourse that could situate the country’s new visual production. 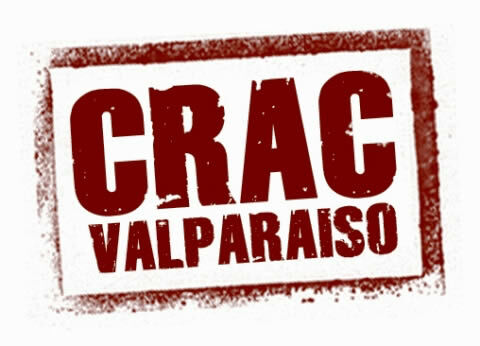 A third situation involving the visual arts in Valparaí­so is the CRAC (Residence Center for Contemporary Artists) project, which raises thoughts on contemporary art and its links to the public sphere through artist residencies in the city. It is a means of networking with a series of other spaces "preferably independent-- in the Ibero-American context. CRAC promotes reflection on the conditions in which contemporary art is produced and disseminated in the context of a city that is considered Chile’s Cultural Capital and a UNESCO World Heritage site (2003). These two designations have been questioned not only by the Valparaí­so’s art scene but by a number of social agents and citizens belonging to various civic groups. The first Valparaí­so Biennial was closed down five days later " following the military coup of September 11 "and reopened on October 15 of the same year under different management. The Biennial followed its course for more than 20 years, always using the Municipal Museum as its main venue and extending to other points in the city depending on spatial requirements. A national and international call for participation was issued every two years, the winners of which donated their work to the Museum’s contemporary art collection. Each Biennial had a catalogue listing most of the participants and detailed information on the winning entry. Upon looking at the cover of each Valparaí­so Biennial catalogue one can understand how the “politics of representation”turned into the “representation of municipal politics”. In Valparaí­so we all know that after the last International Art Biennial the municipality was to undertake its new “cultural project”: nominating the city for UNESCO World Heritage designation. This further complicates the relationship between art, city and politics and should make one question the identity of this heritage site in Valparaí­so. As José de Nordenflycht has pointed out, “It is not just metaphorical to say that a heritage site is not always a pleasant site; in fact the analytical value of this observation lies in that today questions on the site await a response to an unease at several levels that do not always converge”. (4) He goes on to ask: what role does heritage play in the process of a knowledge that questions power? What is the role of heritage in the contemporary debate on cultural production? A cultural production that necessarily calls for dissent in pointing out a complex, varied cultural fabric, is the same dissent that lies in that unease that the author refers when he speaks of the site and that determines a city’s topo-biography. There is an understanding that a place of residence has a bearing on individual and collective life, and that intimacy can only be known by what we understand as a public sphere that is activated in a city. This is complemented by other ways of viewing, experiencing and understanding cultural practices outside their traditional spaces, which provide the possibility of responding to collective conflicts and individual biographies, as a means of understanding where we live.